The secret society of Freemasons is exposed here as a hidden layer of New Zealand Colonial History. Freemasons played key roles in instigating the escalation of the New Zealand Wars, the structural dispossession of lands, and the destruction of a dynamic Māori communal economy, all to serve the British Masonic Empire. The matter of Māori land loss has barely been allocated a bubble in a single coffee cup following the news and social media storm that frothed and swirled following an angry and tearful viral video post of bona fide Waiheke Island native Lara Wharepapa-Bridger on Tuesday 3 January 2017. In addition to exploring how the media and public relations agents protect Most Valuable Players (or MVPS), as I have shown in Part I, it is commonplace in free societies for the news media to reproduce narrowly framed short stories. This covert or hidden censorship system omits key evidence that would otherwise reveal an inconvenient bigger picture context, and is described more generally by media scholar Noam Chomsky in the documentary Manufacturing Consent. According to Lara Wharepapa-Bridger, the Mad Butcher founder and multi-millionaire Sir Peter Leitch told the Waiheke–born Māori wahine that she needed to get off the Hauraki Gulf island because it was now ‘a white man’s island’. The lack of context in the news stories regarding why a young Māori wahine would have feelings of anger, grief and humiliation in response to Leitch’s ‘white man’s island’ remark is backed by a long tradition of censorship that harks back to the theft by swindle, stealth and struggle that took place during the pioneer and colonial periods. Even back then, propaganda was vital to keep inconvenient truths in the dark. Because Freemasons appointed members of the brotherhood to key positions in the New Zealand Colony, they were careful to keep the role played by their secret network largely out of history. The primary secret mechanism by which the British Empire spread throughout the ‘New World’ was through the secret society of Freemasonry. In turn, Freemasonry was spread mostly through the military regiments, including the navy, as Jessica Harlands-Jacobs showed in her book, Builders of Empire: Freemasonry and British Imperialism, 1717-1927. Freemasonry merged with the British Government and the British Monarchy during the 1790s and over a period of three decades re-invented its political leanings and ideology. However, Builders of Empire focuses a lot on how Freemasons lived up to their cosmopolitan ideology when it came to inclusiveness toward indigenous peoples and former slaves in the colonies, or in their exclusion of women and Catholics from Freemason lodges in the 130 year period of imperial expansionism examined. As a study of British Masonic Imperialism, Harlands-Jacobs’ does not reveal the network of the secret brotherhood and their roles in the British Empire. Builders of Empire, therefore, leaves the legitimacy of the British Monarchy, Parliament, the City of London Corporation, the Bank of England, the Church of England, and the Royal Society, intact because it avoids revealing the parallel political system, insider trading and structural dispossession through swindle, stealth and struggle by Freemasonry. This article is a sketch of Freemasonry in New Zealand during the peak period of the New Zealand Wars. Freemason Bro. William Chisholm Wilson founded The New Zealand Herald to back the defeat of Maori. “the rebels should be energetically dealt with, the war has been one of their own compelling. They commenced it with cold-blooded deliberate assassinations. They are following up with stealthy murders of defenceless women and children. The fruits of a life of industry are the sacrifices of their vengeance. Agriculture perishes. Commerce languishes. Enterprise stands still. And a great and glorious country runs to ruinous waste until the murderer and marauder shall be imperatively taught that life and property must be preserved and Law and Order maintained inviolate”. Māori were not in rebellion for refusing to sell any more land in 1860 – as they had been widely and visciously slandered as justification for the First Taranaki War – and at a time when the Māori land estate had been reduced to 21.4 million acres out of 66.4 million acres. There was no rebellion for the simple reason that Māori never agreed to relinquish their right of self-determination and sovereignty. This refusal by Māori to sell more land, which emerged as a consensus in 1854, led to Pakeha settlers to conspire to escalate the New Zealand Wars in 1860. According to Marxist theory, capitalism cannot be established without a prior period of primitive accumulation, or conquest. Indeed, at the time of hostilities breaking out in Taranaki in March 1860, Māori had 53 ships and the white settler population could simply not compete with the Māori communal economy. Destroying the Māori communal economy, argued Tony Simpson in Te Riri Pakeha: The White Man’s Anger, was the driving motivation of key colonialists. 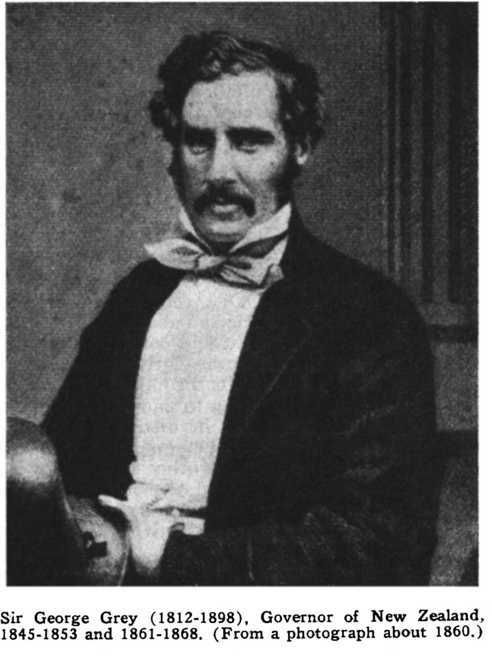 James Belich in The New Zealand Wars, stated the main British objective was to assert sovereignty because “to oppose sales was to oppose the extension of British sovereignty and to defend Maori autonomy”. Unbeknown to Māori at the time of signing the Māori version of the Treaty of Waitangi, the British government and its colonial agents had been systematically deploying a secret international law agreement since Captain Cook’s first voyage. Known as the Doctrine of Discovery, this secret piece of international law was reached between European nations at a time when they were forming empires since the 15th Century, and was designed to mitigate the chances of competing nations making expensive war with each other. It was thought it would be easier to gain territory off indigenous peoples’ cast as ’savages’ rather than from their more technologically even European competitors. Through the application of another international law doctrine – terra nullius – the natives’ of the ‘New World’ were considered to lack full political rights because they were not Christians busy cutting vast swathes of forests for sheep and cattle to graze and therefore they were deemed too ‘primitive’ to be considered ‘sovereign’. Not surprisingly, ‘colour prejudice’ as a “conscience-salving colonial doctrine” surfaced around 500 years ago, coinciding with the emergence of the European empires. Civilizations only become empires when they turn aggressively expansionist and engage in imperial wars to support an oligarchy’s insatiable appetite for wealth accumulation, control of technologies and other resources to out-compete the empires of rival oligarchies. In New Zealand’s case, the Lords of the Admiralty were very clear in their secret instructions to Captain James Cook, which were not published until 1928, that the British Empire had to beat other rival powers seizing any new great territories. Captain Cook viewed Maoriland as a resource-rich base for the British Masonic Empire in the South Pacific Ocean. Indeed, the British navy had obtained kauri spars from New Zealand in 1820 for His Majesty’s Ships. To instigate the Conquest stage somewhere as the 1850s were drawing to a close, the Pakeha settlers had to cast their wedge of war in a way that gave them the appearance of occupying the so-called moral high ground. Here, I sketch some key events that formed a wedge of war, as I call it, toward the thin end where hostilities are triggered, and propaganda amplifies to blame the ‘enemy’ for the deeds that finally lead to conflict. In this conquest over the North Island, I trace the hidden hand of the secret Order of Freemasons. In essence, Richmond the politician outlined a policy to Bro. Watt – who was also a founding member of the New Plymouth Masonic settlers’ Mount Egmont Lodge, and future captain in the Taranaki Rifle Volunteers– whereby officers of the courts were to act as agent provocateurs. In 1858, the Militia Act was passed, which made it legal for settlements to form voluntary corps. This Act came after Taranaki settlers had appealed to the Colonial Government to take action to settle the ‘Land Question’. The Richmond’s were inter-married with the Atkinson family, among them Bro. Captain Harry Atkinson who fought with the Taranaki militia and later became New Zealand premiere. Following three large hui in the mid-to-late 1850s, which took place in Taranaki in 1854, Taupo in 1856, and the Ngaruawahia in 1858, Māori resolved to halt any further sales over millions of acres of land that they held tenuously to. In June 1858, the Waikato iwi had instilled the first Māori King, chief Te Wherowhero who became Kingi Potatau, and he placed a tapu forbidding the sale of any more land in the Waikato region. Meanwhile, tensions between the Taranaki settlers and various Māori iwi and family groups (or hapu) had been brewing and erupting since Governor FitzRoy overturned Commissioner Spain’s decision to award the land-swindling New Zealand Company 60,000 acres in 1844. The Taranaki settlers, who had no inclination to learn Māori communal land-use practices, cultivation hunting and foraging techniques and dietary practices, resented that they were ‘hemmed in’ to 3500 acres, awarded by FitzRoy, which included the coastal settlement town of New Plymouth. Jealously eyed was the 600-acre river-side village and fertile cultivated gardens at Waitara, which was communally-owned by the Atiawa iwi. The British colonists coveted Atiawa’s fertile riverside land and wanted to construct a river-port at Waitara, since New Plymouth, which lay 10 miles to the south, lacked a harbour. The anti-land selling stance that Māori had taken was an affront to British Masonic imperial ambitions. Indeed, the Colonial Government’s Commissioners for Land Purchases had pursued a stratagem to wrest land from iwi and hapū by gleaning information, targeting those Māori most willing to sell and using successive sales to encourage further purchases and create disunity among Māori. Bro. Donald McLean undermined this widespread opposition by referring to Māori communal ownership as a ‘Land League’. This was a loaded term that was used by landed gentry of England and Ireland as propaganda to undermine tenants croppers’ rights to occupy land or trade union attempts to exert communal interests, at a time when the privatization of land through the Enclosure Acts were used as a mechanism to force people to find work in the industrializing cities. In Taranaki, the District Land Commissioner, Freemason Bro. George Sissons Cooper, had pressured chief Rawiri Waiaua to sell a disputed wheatfield north of New Plymouth, a sale that chief Katatore that was opposed to. When chief Rawiri Waiaua attempted to prepare the land for surveyors, he ignored the warning shots of chief Katatore, and was killed in a brief battle by Katatore’s party. This incident on 3 August 1854 led to years of reprisals, galvanized attitudes around the ‘Land Question’, and provided settlers the opportunity to categorize Māori as ‘friendly’ or ‘hostile’, depending on whether or not they were willing to sell land. In this uneasy atmosphere for Māori and Pakeha alike – and soon after Richmond’s outrageous letter was sent to Bro. Watt – a meeting to discuss the formation of a militia took place in the New Plymouth Freemason’s Mount Egmont Lodge in early 1858. 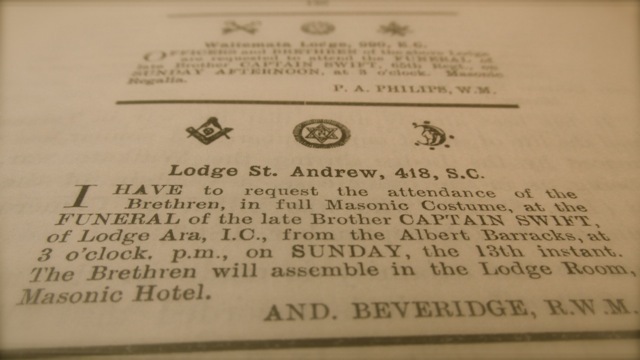 Among the committee of five men formed at this Masonic Hall meeting, which occurred a full two years prior to the commencement of the First Taranaki War, were Bro. 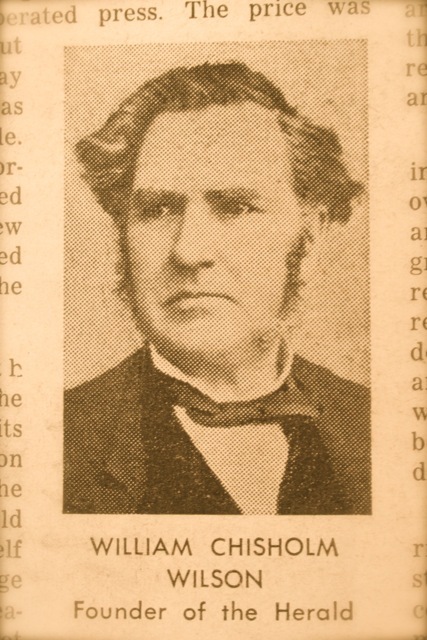 Richard Brown, land agent, merchant and co-editor of the Taranaki Herald; settler Bro. William Halse, and farmer Bro. Harry A. Atkinson, who became a corporal in the First Company of Taranaki Rifle Volunteers and Captain in the Second Company. 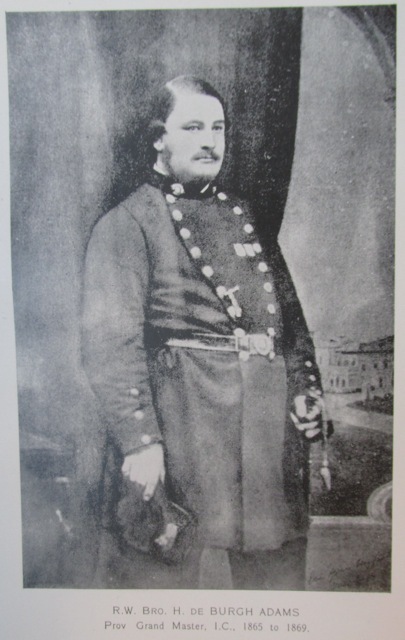 James Crowe Richmond, the brother of the Minister of Native Affairs, also volunteered for this militia committee, and the Taranaki Rifle Volunteer Company was formed on 13 January 1859. Bros in Arms: New Plymouth Resident Magistrate Captain Bro. Isaac Newton Watt was one of numerous Freemason ‘originals’ of the Taranaki Rifle Volunteer Company. 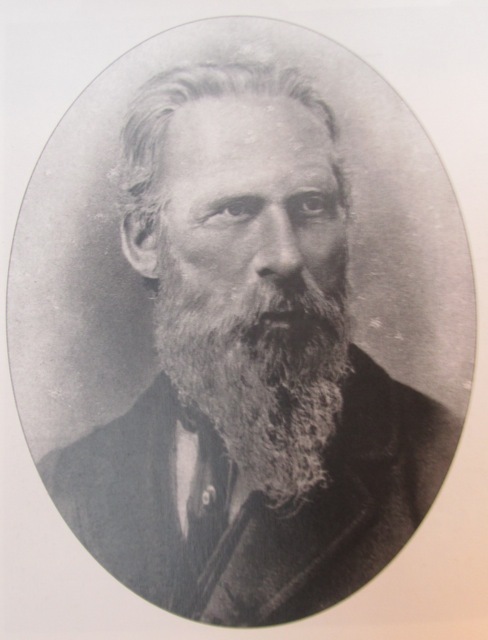 By 1859, Governor Thomas Gore Browne decided to personally intervene with a trip to the Taranaki district, which had a history of ambushes, fighting and murders between settlers and Māori. On 8 March 1859, Browne, who Maori called Governor Angry Belly, convened a meeting between Taranaki iwi in the grounds of the Native Office in New Plymouth. The governor made a speech that warned that the fighting, particularly on settler land had to stop, or harsh measures would follow. As former Radio New Zealand producer Tony Simpson put the situation in his 1979 book, Te Riri Pakeha: The White Man’s Anger, “[i]f he [Browne] had left matters there he would have done no harm.” The trouble was not simply that Governor Browne was a stupid man who blustered when he did not understand a raruraru (or problem), in place of asking questions. But, the real raruraru was that there was a very cunning Freemason in his midst: Bro. Donald McLean. An accomplished land swindler, Brother McLean, who had been promoted to Chief Land Purchasing Commissioner in 1853 by Bro. 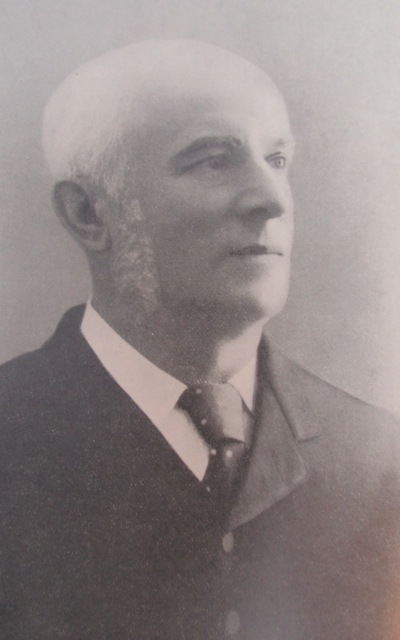 Governor George Grey in recognition of his instrumental role in duping Māori into selling 30 million acres of South Island [nearly the entire landmass] over a period of eight years for a symbolically sneaky sum of £13,000. (The Masonic Brotherhood often embedded the number 13 and multiples of it into events, appearing as mundane dates or quantities to signal they were advancing the game of empire together. In occult numerology, the number thirteen represents ‘unity’ and ‘fraternal love’). Bro. McLean was familiar with the tensions over land in Taranaki, including Waitara, the pressure to obtain it were present during Bro. Grey’s first Governorship, who had remarked in 1848 that “no land in Taranaki at all will be obtained without war”. Skilled Swindler: Freemason Bro. Donald McLean, Chief Commissioner for Native Land Purchases. Bro. McLean, who had carefully translated Browne’s speech into te reo Māori, also advised Browne to finish with comments about what the governor deemed acceptable protocols on the vexatious matter of land sales. Browne’s remarks on land sales provoked an Atiawa sub-chief, Teira, to leap to his feet to offer to sell a significant chunk of land at Waitara. Bro. Donald McLean and the Native Affairs Minister C.W. Richmond had calculated that Teira would literally leap at the chance. After consulting with Bro. McLean and Richmond, Governor Browne accepted the offer on the condition that Teira could prove clear title. During Bro. George Grey’s first governorship, he had twice refused to accept the sale of the Waitara block presently being offered because he recognised that it belonged to Atiawa as a whole, and not to Teira alone. Grey was also aware that Teira and chief Wiremu Kingi Te Rangitake had an emotionally-charged history that dated back to Teira missing out on marriage. Bro. McLean, who was well-versed in Maori custom, culture and conflicts, well knew that Teira was exacting revenge upon Kingi and that Teira had offered the land for sale back when Governor Bro. Grey had the ‘final’ say. On 29 November 1859, Richmond authorized payment for the sale of the Waitara block after Bro. McLean’s deputy Robert Parris, who became a major in the Taranaki militia, wrote to the Minister of Native Affairs to say that Teira’s title to Waitara was clear. After eight months at an impossible task to prove Teira’s claim was legitimate, Parris ‘achieved’ this impossibility by deploying an impossible explanation. The Deputy Commissioner for Native Land Purchases asserted that Teira’s claim to title was supported by what he had “gathered from disinterested natives”. In 1859, there was no such social group anywhere in Taranaki, and nor in rest of the imaginatively named ‘North Island’ (and to be fair, in Te Wai Pounamu), that could be described as ‘disinterested natives’ – except in the transmission of a legal fiction. The Attorney General, Freemason Brother Frederick Whitaker (1812-1891), advised the Colonial Government that the Crown had acquired title properly. Whitaker claimed he based this advice on Freemason Brother Donald McLean’s assessment (1820-1877), a wealthy landowner, administrator and negotiator who spoke fluent Māori. However, Bro. McLean had absconded from Taranaki immediately to shore up Teira’s offer to sell by seeking approval from Atiawa people that still lived near Queen Charlotte Sound, having fled incursions by Te Rauparaha and Te Wherowhero during the Musket Wars. Bro. McLean’s sudden departure left his deputy, Robert Parris to make the impossible seem plausible. Furthermore, Attorney General Brother Frederick Whitaker, a founding Anglican Freemason of the first New Zealand Masonic lodge to be granted a dispensation on 5 September 1942, was already by this time a land speculator who claimed to understand ‘Maoris’. (Governor Col. T. Gore Browne said most of Colonial members of parliament knew nothing about the native people. Browne himself understood little of Te Māori customary land tenure laws). Having set this horrendous legal fiction in motion, on 25 January 1860, Christopher. W. Richmond – who was a member of the House of Representatives and the New Plymouth Provincial Council – ordered land surveyors into Waitara. Predictably, on 20 February elderly Māori women and men pulled out the survey pegs. (Predictable, because Māori had been doing this since 1840 when the land-swindling New Zealand Company’s surveyors had set their pegs on land where Port Nicholson in the capital city, Wellington, is today). The survey pegs symbolized the intention to forward the Discovery Doctrine’s element of ‘Actual Occupancy and Current Possession’. Applying historian Carroll Quigley’s Civilization thesis, the New Plymouth settlers sought to possess Waitara because occupation would provide the settler’s with fertile land next to a river suitable for a port, which would give them the capacity to produce a surplus, a necessary element in establishing ‘Civilization’. Wiremu Kingi did not want war, but instead wanted to go to court, where the shakiness of the settler’s position would have been laid bare – on the record. With these ingredients in the settlers’ calculus, events were quickening at the thin end of this wedge of war. Meanwhile, the resident military officer wrote to Chief Wiremu Kingi of Waitara warning him that resistance was rebellion. The survey party was harried by old women and children, a clever move in non-violent peaceful resistance that forced the surveyors to abandon their tasks. However, martial law was promptly declared on 22 February and on 5 March troops arrived up the Waitara River. Four companies of the 65th Regiment equipped with artillery set out to occupy Waitara. Wiremu Kingi had abandoned Waitara before the troops arrived. The survey of Waitara was completed on 13 March 1860. Three days later, the Imperial and Colonial forces were surprised to find that Kingi’s men had built an L-shaped pa in a single night on the disputed Waitara block. A 300 man force, under the command of Major Bro. Charles Herbert, marched to Waitara on March 17. The 1st Taranaki War had begun after 13 years of relative peace. Taranaki Māori had been gamed. Armed Camp: New Plymouth in 1860 was fully militarized to extend British Masonic Imperialism to Taranaki. There was plenty of land available to settlers at this time. The Colonial Government held 42 million acres throughout the provinces, including 25,000 in Taranaki. Waitara was regarded as an obstacle to the planned New Plymouth settlement before the Richmond and Atkinson clans left England. As one emigrant manual stated, Waitara was owned by “a handful of idle braggart-natives who are still suffered to play the dog in the manger”. In 1860, numerous Masonic meetings of the Mount Egmont Lodge occurred in a shed belonging to the Taranaki Herald, which was founded by Bro. Garland William Woon who produced the newspaper with the assistance of Bro. W. M. Crompton, as well as Bro. 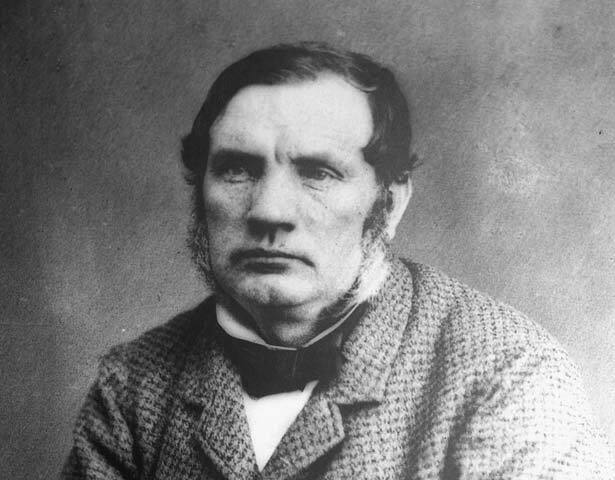 Richard Brown, who had been on the 1858 committee to form a Taranaki militia. Nearly all of Mount Egmont Lodge’s members were engaged in the First Taranaki War (1860-1861) and the lodge hosted numerous visiting Freemasons from the Imperial and Colonial regiments. It was usual for the lodge meetings to take place in a room in the Masonic Hotel, but because all rooms were probably taken up for accommodation, the ‘Mount Egmont Lodge’ frequently convened in a shed belonging to the Taranaki Herald! Among the visiting Freemasons were, Major Bro. Charles Herbert, who commanded the New Zealand Volunteers and Militia forces. Sergeant Bro. George Collins of the 65th Regiment, served in New Zealand from 1861 to 1865. During the First Taranaki War, the Egmont Lodge was also visited by Bro. Edmund Jacob Whitbread of the 65th Regiment, and Bro. Frederick Bailie who served under Colonel Gold, and both were promoted from Lieutenant to Captain during the First Taranaki War. The Egmont Lodge also hosted Bro. Lieutenant Urquhart, who headed a detachment of the 65th Regiment at the Battle of Waireka, Taranaki, and was accompanied by Bro. Lieutenant Whitbread, Bro. Lieutenant Blake and Bro. Surgeon White of the H.M.S. Niger. A company commander of the 65th Captain Bro. T.G. Strange was mortally wounded at Te Arei pa, which was situated on a hilltop above the Waitara River, on February 10 1861. Captain Bro. T.G. Strange was initiated into the Order in August 1858, at the Pacific Lodge in Wellington, when the owner of the Wellington Independent newspaper, Bro. Thomas Wilmor McKenzie, was Worshipful Master of the Lodge. As the First Taranaki War progressed through 1860, the Colonial Government leased 400 acres for a military camp on the land-swindling Reverend James Hamlin’s property at Otahuhu, which was one of four settlements created by Bro. Governor George Grey in 1847-1848 as garrisons. These ramparts located at Onehunga, Otahuhu, Panmure, and Howick were ostensibly built to protect settlers from Māori incursions. They were ‘settled’ by ‘Fencible Settlers’ who immigrated on the condition that the men would fight if needed in return for a cottage within a fenced acre. In reality, these four settlement towns fulfilled the ‘Settlement’ element of the Discovery Doctrine, a ‘necessary’ stage of colonization. The idea for the Otahuhu Camp was conceived in 1859 and became the military base for the Otahuhu Royal Calvary Volunteers from 1860 to 1864. To further provide for logistics, the Colonial Government leased 100 acres in Penrose for a Commissariat Transport Depot, from the sons of a wealthy Cornwall family, the Maclean’s, in 1860. The Commissariat Transport Corps was a branch of the British Treasury, meaning that military servicemen were working under a civilian command structure. Commissariat Transport Corps was in charge of all non-military supplies, and coordinated land and inland water transport, and administered the Military Chest from which funds could be drawn for military campaigns. The Commissariat and the Military Train had the responsibility for building the military road to link Auckland with the Waikato. 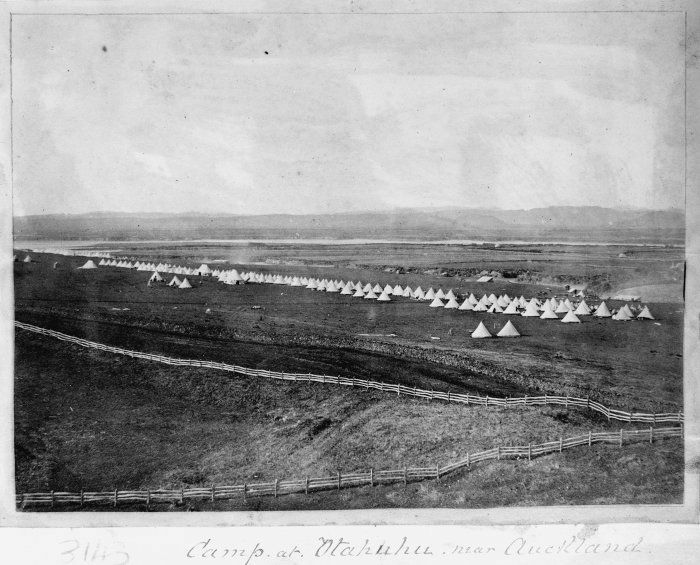 Otahuhu Camp of Imperial forces: Tents of the 70th, 14th, 40th and 12th regiments. Forebodingly for Māori, the militarist Freemason, Sir George Grey, who was awarded a Knight Commander in the Companion Order of the Bath by Queen Victoria in 1848, was recalled to New Zealand for a second term of governorship on 3 June 1861. Bro. George Grey, who was initiated into Freemasonry in Ireland at the Military Lodge No.83, I.C., was of noble heritage, his cousin was the Earl of Stamford, whose ancestor had fought on the Parliamentary side of the English Civil War against the Royalists. The town of Auckland turned on the pomp for Grey’s return on 26 September 1861, with a crowd of 8,000, complete with bugles, riflemen and an official welcome – at the 13-acre Albert Barracks site on Fort Street. To continue to wage these land wars, the New Zealand Colonial Government needed money. It could have printed its own money debt free, like the colonies of America did more than a century before. But, the printing of Colonial Scrip currencies had been regarded as a rebellion in the American colonies and was one key reason for the American Revolutionary War against Britain. Clearly, the New Zealand Civil Oligarchy of rich white men running the Colonial Government knew not to provoke the ire of the British Empire. Three weeks after Grey’s homecoming, an ambitious new bank, with initial capital of £500,000, cashed in on colonial parochialism by calling itself the Bank of New Zealand. The BNZ, which was established by legislation and Royal Charter in 1861, and whose solicitors were Freemason Frederick Whitaker and Methodist lay preacher Thomas Russell, became the colonial government’s banker, brokering loans and supplying an overdraft to prosecute British Empire’s war to destroy the resilient communal economy of ‘rebel savage Maoris’. Colonial Oligarch Leader: Thomas Russell, founder of the Bank of New Zealand, Minister of Colonial Defence during the Waikato War & business partner with Bro. Frederick Whitaker. Indeed, the Bank of New Zealand had the edge over older rivals because of the influence of well-connected players as is evident in the roll of the bank’s original directors, investors and trustees. Included in bank founder Thomas Russell’s ‘Limited Circle’ were: Governor George Grey; three-times Premier Edward W. Stafford of Nelson;  Wellington based land swindler William Barnard Rhodes; the bank’s first president; James Williamson, who conducted profitable business for the military commissariat department; and the ubiquitous Sir John Logan Campbell, who was on numerous company boards in the orbit of Thomas Russell. Conspicuously, Russell also became the Minister of Colonial Defence, while Bro. Frederick Whitaker became Premiere of New Zealand during the Waikato War of 1863-1864. Furthermore, the Masonic influence is evident in the roll of the Bank of New Zealand’s original directors, investors and trustees: Bro. Governor George Grey, Bro. Frederick Whitaker, three-times Premier Bro. Edward W. Stafford of Nelson; Bro. C. J. Taylor, Bro. Thomas Henderson, Bro. William Barnard Rhodes, Bro. A. de Bathe Brandon, and the land-swindling Sir John Logan Campbell, who, while not a Freemason, bequeathed funds for an overbearing Masonic obelisk to be built at the top of Maungakeikei in Cornwall Park, complete with a Māori warrior, as a memorial to the ‘dying’ native race (as many settlers believed this was the fate of the indigenous Māori people). The Auckland of 1861 was conspicuously a colonial outpost of Empire … Problems and anxieties stood plain, not least a growing threat of conflict with the Maoris. But Lord Palmerston [British Prime Minister 1859-1865], half a world away, had declared that British law should be respected in New Zealand, even if it should take 20,000 men to bring about that result. Lord Bro. Palmerston (born Henry John Temple), 33rd Degree Freemason embarked on a plan to forge a world empire in 1850. At the top of secret Sionist-Rosicrucian English Freemasonry and High Priest of Templar Scottish Rite Freemasonry was 33rd Degree Freemason Lord Bro. 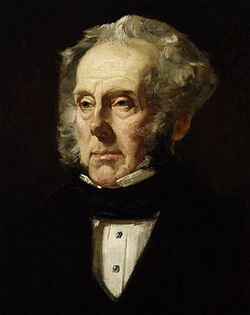 Palmerston (born Henry John Temple) who was for most of the time between 1837 and 1865, either the Foreign Secretary, at the British Government’s Foreign Office, or Home Secretary, when he was not wearing the British Prime Minister’s hat. Historian Webster Griffin Tarpley describes Lord Bro. Palmerston as the most powerful leader of the British oligarchy between 1830 and 1865, while historian Nicholas Hagger identifies Lord Bro. Palmerston as the Grand Patriarch of the Illuminati and ruler of all secret societies in the world, including the Grand Master of British Brotherhood during this period. Although numerous ‘Famous Freemason’ biographical lists and accounts cite Thomas Dundas, 2nd Earl of Zetland, as the Grand Master of English Freemasons from 1844 to 1870, George Dillon stated in his 1885 book, Grand Orient Freemasonry Unmasked as the Secret Power Behind Communism, that hidden masters of the Brotherhood were served by skilled secret plotters scattered amongst the rank and file. According to Tarpley, Bro. Palmerston was the leading imperialist of his time, who was hell bent on forging a world empire. Indeed, as historian Webster Griffin Tarpley has retold, the British Prime Minister’s outrageous belligerent attitude to any native or colonist people who opposed the British Empire’s brotherhood, Lord Palmerston “thundered” in the British Parliament that wherever a British subject travels the British fleet will resolve his disputes. Furthermore, Queen Victoria was the Patronness of English Freemasonry and her husband George was a Freemason. Because the key oath of Freemasonry is one that obligates the fraternity to always follow orders from above, the merger of Freemasonry with the political-economic-cultural power bases of the British Empire meant obedience to an imperial vision. In such a bellicose atmosphere, by Christmas 1861 and at a time when Governor Bro. Grey was faking peace, he had almost 2,500 soldiers that included Freemasons building a military road, lined with telegraph poles and copper wiring that would cut deep into Waikato territory. These Imperial and Militia soldiers were absorbed in the Commissariat Transport Corps for the task of constructing the Great South Road to Mangatawhiri River. Among the troops in the Commissariat Transport Corps was 3rd Waikato Militia Captain Bro. James McPherson, formerly of the 93rd and 70th Regiments, who would later settled in Hamilton and become the first member of parliament for the district. In 1862, Brother Grey bought two steamers for conversion into gunboats to finish charting the Waikato River, charts that Bro. George Grey had started years earlier before he left New Zealand to oversea military operations in the Cape Colony. By Christmas 1862, General Cameron had 10,000 Imperial Troops under his command, a fact that the Waikatos could hardly miss. Pioneer at Meremere: One of Governor Bro. 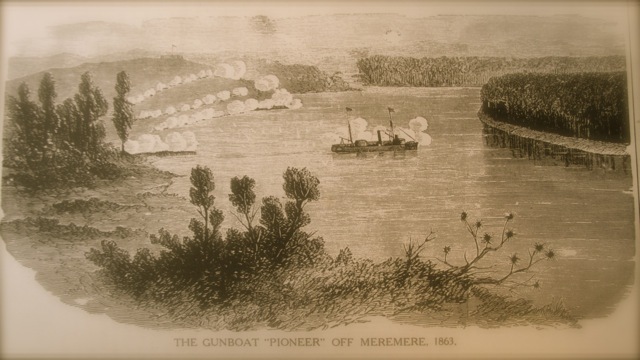 George Grey’s ironclad steamers depicted under fire on the Waikato River in 1863. The gangster-in-suits duo Bro. Whitaker and Methodist lay preacher Russell did not stop with the Bank of New Zealand Act, either. Together, they were key protagonists in the Natives Lands Act of 1862, which ended the Crown’s land-swindling monopoly on land purchases with Māori dating back to the fraud-ridden, rat-eaten Te Tiriti o Waitangi, which had been left to languish in the basement of Government House in Auckland. Then, in 1863, Premiere Bro. Whitaker and preacher-banker-solicitor-insurer and Minister of Colonial Defence Thomas Russell were to drive the ‘wedge of war’ deeper with three more parliamentary acts. The first was the Suppression of Rebellion Act of 1863, which for all intents and purposes upheld the fraud of Te Titiri o Waitangi of 6 February 1840, since the Māori version is the one that counts. The second piece of legislation that Masonic Bro. Whitaker and Methodist lay-preacher Russell schemed was the New Zealand Settlement Act, which legalized the establishment of military towns on land belonging to Māori that the Masonic fraternity’s Governor could construe were in rebellion against the Crown. And finally, the New Zealand Loan Act, that authorized ‘borrowing’ three million pounds of engraved, land confiscation-backed bonds for a mass grave-consigning conflict that was named, in the grand tradition of the British Masonic Empire, after those they gamed and blamed: ‘The Maori Wars’. In March 1863, Governor Bro. Grey travelled to New Plymouth to investigate the Waitara Block purchase and he found in favour of Chief Wiremu Kingi and Atiawa iwi. But instead of immediately publicizing his finding that the Waitara Purchase had been illegal and ordering the return of this port and cultivation landblock, Bro. Grey made a move to help cast a wedge for the Second Taranaki War. Bro. Grey ordered the military to occupy Tataraimaka block, the southernmost New Plymouth settler’s farmed land that Māori had occupied since the truce of 1861. Atiawa iwi had made it clear when they occupied the Tataraimaka block that they would only give it up when Waitara was returned to them. The 57th Regiment moved in without a shot being fired and built Fort St. George on a bluff overlooking the coast. Māori viewed these provocations as declarations of war and on 3 May 1863 ambushed a party of the 57th, killing two officers and six foot soldiers. The two companies of Rifle Volunteers and Militia were reformed into three, each with bush-ranging units that would make use of new breech-loading Terry carbine rifles, 5-shot revolvers and locally manufactured bush knives. Between these developments, on April 13 1863, Lord Bro. Palmerston appointed Freemason Bro. George Frederick Samuel Robinson, 3rd Earl de Grey, as Secretary of War. With the 18th Royal Irish Regiment already en route to New Zealand in early-to-mid-1863, the Commander-in-Chief of British Armed Forces, HRH Prince George William Frederick Charles, the 2nd Duke of Cambridge, who like Bro. George Grey held a title in the Order of the Bath, signed orders for the 43rd, the 50th and 68th Regiments to travel to the far-flung colony. (Prince George was a Knight Grand Cross of the Order of the Bath ). Meanwhile, when Thomas Russell became the Minister of Colonial Defence in 1863, Parliament was like an executive branch of the Bank of New Zealand, 28 shareholders and five directors were there with the founder. On 23 June, Governor Bro. George Grey issued a proclamation for the citizens of Auckland to form a militia. On July 9 1863, Governor Bro. Grey sent out a proclamation ordering Māori in the Auckland Province who lived north of the Mangatawhiri River to take an oath of obedience to Queen Victoria, or cross the river to live in the Waikato. Such an oath was not unlike the submission of a Freemason to always follow orders from above. In effect, Bro. Grey had issued an ultimatum to a people beyond his jurisdiction to order around with a 48-hour eviction notice that did not reach Māori in time. Governor Bro. Grey, who was regarded by historian J.B. Condliffe as “the greatest imperialist of the Nineteenth Century”, had prepared thoroughly for war. At his disposal were iron-reinforced gunboats for river navigation, including the HMS Pioneer, Rangiriri, Avon, Harrier, Esk, Curacao and Gymnotus. Other ships transporting troops, supplies and weapons were: HMS Pelorus, Eclipse, Miranda, Victoria, Iris, and Cordelia. Later, the HMS Falcon, and steamers called the Corio and the Sandfly would transport troops for war at Tauranga. Rangiriri on the Waikato River: One of several ironclad steam-powered gunboats commissioned by Governor Bro. George Grey. At dawn July 12 1863, General Duncan Cameron crossed the Mangatawhiri Stream with 700 soldiers into Tainui Waikato territory on the orders of Bro. Governor Grey. With this act of war, the imperial forces, in effect, ‘Crossed the Rubicon’, or ventured beyond the point of no return into territory beyond his jurisdiction to provoke the Waikato War. On 13 July, 300 soldiers of the 65th Regiment crossed the Waikato River at Tuakau to establish the Alexander Redoubt on the high cliffs above the river. The fusion between three institutions of the British Empire – Freemasonry, the British Army and the Church of England – is evident in a funeral to honour to a fallen Brethren at an early stage in the Waikato campaign. 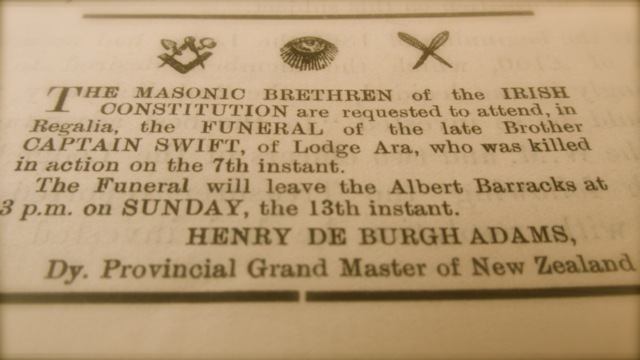 On September 7 1863, a Freemason Captain Bro. Swift of the 65th Regiment was killed during a rescue operation of ‘friendly Maoris’ engaged at Camerontown, near Tuakau on the lower Waikato River. Bro. Swift was shot through a lung and one one side while leading an ill-conceived bayonet charge against ‘rebel Maoris’ camped in the bush who were thought to be drunk on rum. Upon Bro. Swift giving the order to charge, the first volley of shots fired by ‘the natives’ cut Captain Swift down, and he died about 7.30 that evening, as John Featon retold in his account, The Waikato War. A funeral for Bro. Swift was advertised by Irish, English and Scottish Constitution lodges, requesting Brethren of the Brotherhood to meet in full Masonic Regalia at the Albert Barracks in Auckland on 13 September 1963. Bro. Swift’s burial, which was noticed by James Bodell, author of A Soldier’s View of Empire, took place at the Church of England cemetery, with military honours. The foundation stone of the original St Paul’s Church was laid in a ceremony by Masonic brethren. Fusion of Freemasonry and Imperialism: The funeral procession for Captain Bro. Swift of the Imperial 65th Regiment convened at the 13 acre Albert Barracks on September 13 1863. The day after Captain Bro. 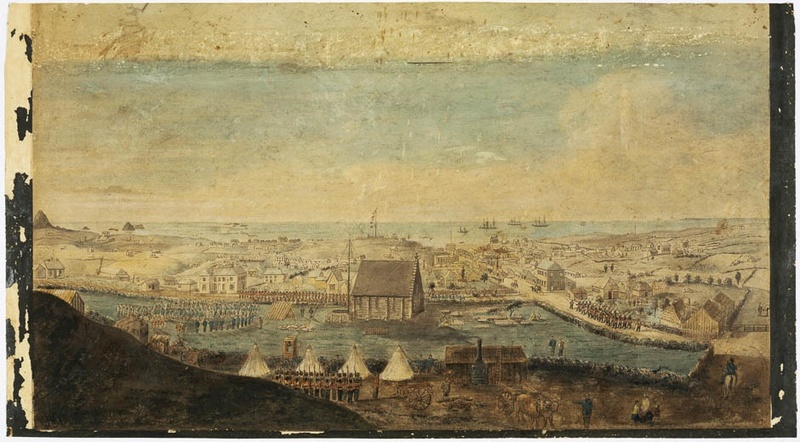 Swift’s funeral, a ship called the Star of India arrived in Auckland with 407 officers and foot soldiers selected under Colonel Pitt’s supervision in Melbourne. 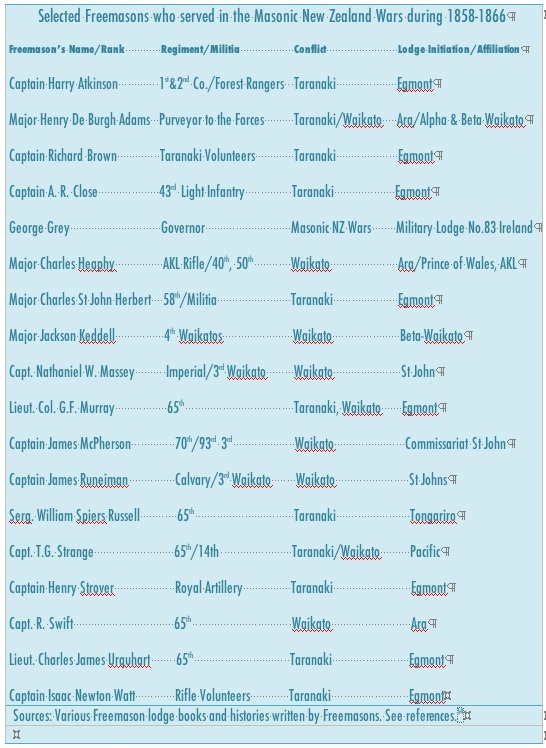 This detachment of Military Settler volunteers were drafted into the 1st, 2nd, 3rd and 4th Waikato Militia Forces. Many of the men that fought in these Waikato Militia were Freemasons. Like the men of Taranaki, the Waikato Militiamen were enticed with the offer of one town acre and farmland, the size of which reflected the British class system in the military. Thus, a field officer would receive 400 acres, a captain was promised 300, a surgeon 250, a sergeant 80, a corporal 60 and a private 50. 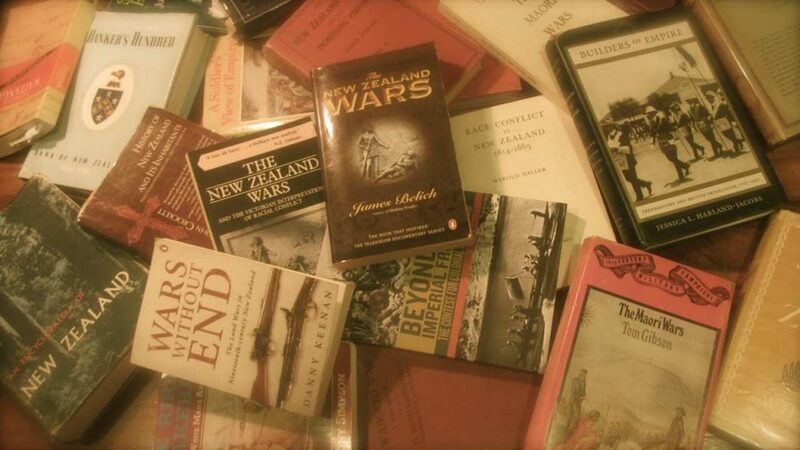 It is not without irony, that many of the privates who fought in the Imperial and Colonial Army and Volunteer Militias in the New Zealand Wars “were working people who lost their livelihoods through economic recession, famine or dispossession of land”, as historian James Belich noted. In others words, through emigration and warfare the British Oligarchy were exporting crises of their own making to the far-flung reaches of the British Masonic Empire, to control more territory as a means accumulate economic wealth faster than rival powers. Militia Enticement: This ad stated that the Daily Southern Cross newspaper premises would have a double life as a recruitment office for raising a Waikato Militia. After dispatching the pa at Meremere, Cameron advanced 13 miles with an attack force of 1300 men to Rangiriri. During the Waikato campaign, Military Surveyor Bro. Major Charles Heaphy guided the imperial and colonial forces. With a surveyor on hand, General Cameron showed an acumen for the Doctrine of Discovery’s elements of ‘Conquest’, ‘Actual Occupation and Current Possession’, and ‘Civilization’, by accurately marking out where his forces were occupying land as the places that would become the military settlements once the lands were officially confiscated. These garrison towns were at Karapiro (Cambridge), Kirikiriroa (Hamilton), Alexandra, Te Awamutu, Kihikihi, Ohaupo, Pirongia and Ngaruawahia. The 1st Waikato militia were based in Tauranga, the 2nd Waikato around Te Awamutu, Pirongia and Camp Alexandra (where the Freemason Beta-Waikato Lodge was located), the 3rd Waikato Volunteer Corp at Cambridge (or Karapiro, where the Freemason Alpha-Waikato Lodge was located), and the 4th Waikato at Kirikiriroa (or Hamilton). The New Zealand Herald‘s belligerent founder, Freemason Bro. William Wilson got an early headline he was after. The memorandum finished forebodingly, stating that the Colonial Government had resolved to confiscate the lands of any tribe, now or in the future, who were found to be in defiance of the Queen’s supremacy. Having provoked the 2nd Taranaki War, and ordering General Cameron to invade the Waikato, Governor Bro. Grey and General Cameron made war in the Bay of Plenty. Vast swathes of land were confiscated in Māori territories where the Masonic Colonial and Imperial forces made war. In all, 1.3 million confiscated hectares became Masonic territories, and were used as collateral for loans raised to wage war during this period. On the fraternally symbolic date of 13 May 1864, the Bank of New Zealand opened an agency in the garrison town of Ngaruawahia, the base of the Kingitanga, that had been insultingly renamed Newcastle. This extension of the bank’s “operations to Ngaruawahia, the northern gateway of to the rich and promising Waikato basin” symbolized another franchise of the bank start-up. Here, at the confluence of the Waikato and Waipa rivers, the Bank of New Zealand’s investors were signaling they were capitalizing on the ‘primitive accumulation’ afforded by their fundraising for the Waikato War to enable a new Masonic Territory. I cringe imagining the smug humour of the Colonial Crony Capitalists. Anyone could make a claim against Māori land and because Native Lands Court chief judge Francis Dart Fenton stipulated that such claims had to be proven in a court house, this edict compelled Māori to leave their land, come to town and wait long periods for their case to be heard. Surveyors, land-agents, lawyers, and money-lenders targeted Maori, who often lost land to settle debts foisted upon Māori by such predators. The British Masonic oligarchy, which had an established habit of looting the world, regarded New Zealand as a territory rich in resources to serve their imperial ambitions to supplant other rival powers. Amid tensions over land, racial prejudice and competing British ideas about how to develop a colony inhabited by ‘savages’, matters were bound to turn ugly. For their part, Freemasons in New Zealand were plotting against Māori across multiple fronts. Bro. Major Henry De Burgh Adams, Purveyor to the Armed Forces, founded five strategically lodges during the NZ Wars. 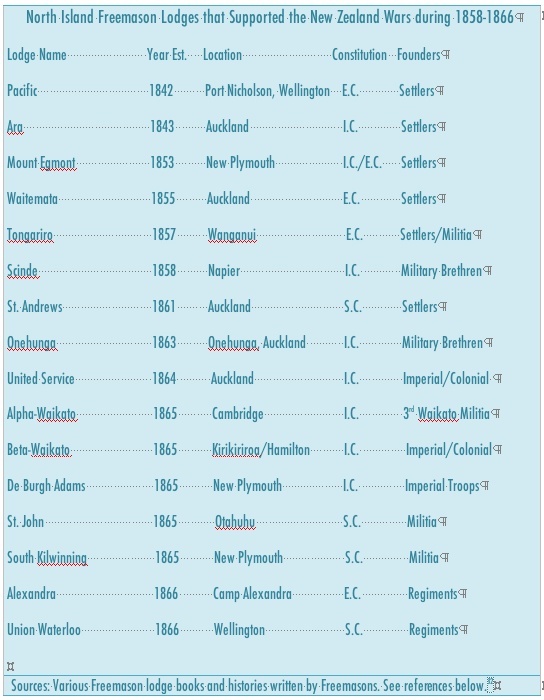 During the crucial 1858-1866 period of the New Zealand Wars, there were 16 Freemason Lodges that had members or hosted visiting brethren who were involved in the fighting, or recruited new Freemasons from the regiments and militias, or who politically and economically supported the conflicts, or were co-conspirators in plots to trigger war. The locations of these lodges, and the years they opened, under various British-centric English, Scottish and Irish, constitutions denoted as E.C., S.C. and I.C., respectively, appear in the following table. Their geographical spread with time show a conscious awareness to advance the game of empire together. For example, the Scinde Lodge in Hawke’s Bay, established in 1858 in a location where Freemasonry had no lodge, and was founded mostly by militia men and also one of landed gentry Bro. Donald McLean, Chief Commissioner for Native Land Purchases, who had accumulated a large estate. The Hawke’s Bay Brethren were granted a dispensation, or permission, from the Ara Lodge in Auckland, to form the Scinde Lodge. Whereas, Lodge United Service in Auckland was founded in 1864 wholly by Imperial and Colonial Forces during the height of the New Zealand Wars, on the authority of Bro. Major Henry De Burgh Adams, at the time Provincial Grand Master of the Irish Constitution Freemasons of New Zealand. An energetic Freemason, Major Bro. Henry De Burgh Adams was Purveyor to the Armed Forces. His roll in Freemasonry seemed to mirror his military function as chief of supplies. Bro. De Burgh Adams, who was initiated into the Freemasonry’s Irish Constitution at Dublin’s Lodge No. 4 and came to New Zealand in 1857, opened lodges where they were strategically needed. Bro. De Burgh Adams was a founder of the Onehunga, United Services, Alpha-Waikato, Beta-Waikato Lodges, and he evidently planned two more lodges in the Waikato. Bro. Major Henry De Burgh Adams was behind the founding of the De Burgh Adams Lodge in New Plymouth, a lodge founded in 1865 by Imperial Troops and local Militia Freemasons, who named it after the newly appointed Provincial Grand Master of the Irish Constitution Freemasons of New Zealand. This Provincial Grand Master position was created to hasten the speed of initiating new men into the Order, establishing new lodges, at a time when communication was slow, and to recognize “the Islands of New Zealand as a Masonic province”. Freemasons during this 1858-1866 period had either command, key rolls, or a presence in the following regiments: the 12th Regiment, the 40th, the 43rd , the 46th, the 50th, the 57th, the 65th, the 70th, the 93rd, the 18th Royal Irish Regiment, the Royal Artillery, the Royal Engineers, and the Royal Navy’s H.M.S. Niger. Freemasons also filled rank and file positions of several militias: the Taranaki Voluntary Corps, which included the First and Second Company of Taranaki Rifle Volunteers; and Waikato companies, the 1st, 2nd, 3rd and 4th Waikato Regiments, and other militia forces such as the Forest Rangers. For example, Bro. William Anderson served in militia in 1863-64, having arrived in the Colony at Onehunga the day the corvette H.M.S. Orpheus was wrecked on the Manukau Harbour bar, February 7 1863, where he immediately joined the St. Andrew Lodge. In 1865, during the 2nd Taranaki War General Duncan Cameron, along many of his officers and foot-soldiers, had come to see that New Zealand Wars were a land-grab, albeit rather belatedly. General Cameron fell out with Bro. Grey and quit. There had been growing discontent in London, in both Whitehall and the press, that the war was cruel, immoral and intended to dispossess Māori. 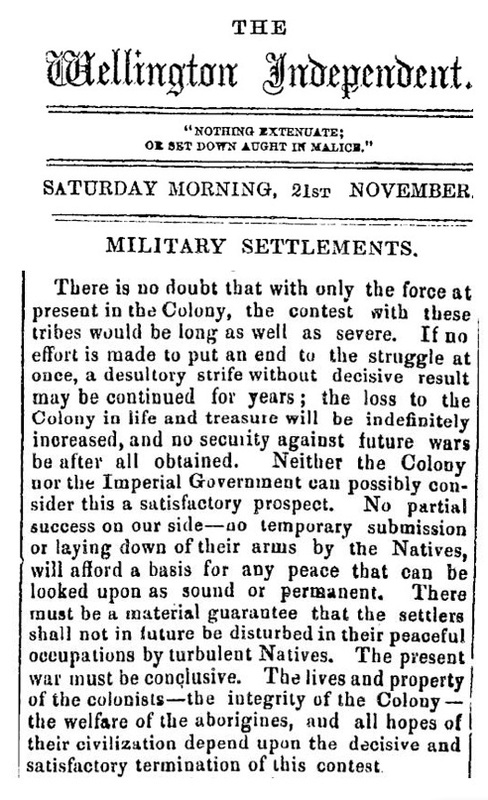 “The people of Auckland have got effectual hold of the British Army, the British Treasury and the Colonial Chest and they will not let them go till they have settled the native difficulty and made themselves independent proprietors out of the native estate”. Even as the New Zealand Wars dragged on through to 1872 and beyond, the Colonial Crony Capitalists and the Freemason Brotherhood benefited immensely. The most fertile lands in the Waikato, Taranaki and Bay of Plenty were confiscated, 1,202,172 acres, 1,275,000 and 738,000, respectively. Although some land was returned, 314,262 acres in the Waikato, 256,000 in Taranaki, and 490,000 in the Bay of Plenty, these lands was easy to alienate because they were either under individual title, or Māori were too afraid to assert their rights in the settlements, or tribesmen were swindled or bullied. For instance, in the year that immediately followed hostilities in Taranaki, 557,000 acres were lost this way. In 1873, Thomas Russell led a syndicate that persuaded the Colonial government to sell 80,000 acres of the Piako swamp, near the Firth of the Thames, 50,000 acres of which became Josiah Clifton Firth’s estate. By 1873, in the Hawke’s Bay where Ngati Kahunugunu had either fought with the settlers or remained neutral, nearly 4 million acres of their best land had been swindled from them by approximately 50 European speculators. Whitaker and Russell also speculated in gold mining, buying out all six shareholders of the Caledonian Mine in the Coromandel prior to it making a ‘world class’ strike. Founding member of New Zealand’s first Freemason lodge Bro. William Chisholm Wilson, who started The New Zealand Herald to provide a mouthpiece for those colonists that wanted the prosecution of the war to be more vigorous, joined the board of directors of the Bank of New Zealand in 1868 and held his board seat until 1876. Wellington based land swindler Bro. William Barnard Rhodes, and one of the original trustees of the Bank of New Zealand, had accumulated a fortune of £500,000 when he died. 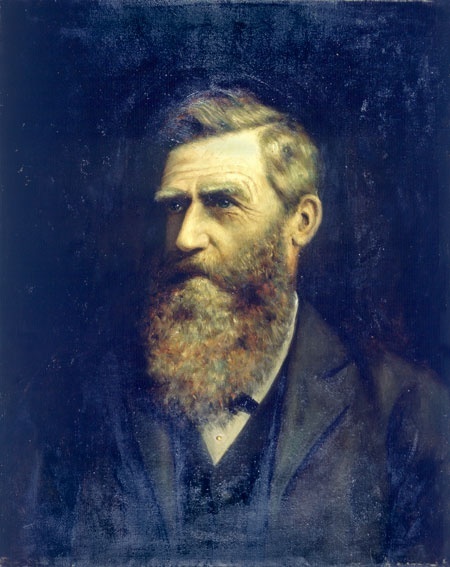 Sir John Logan Campbell left a bequeath for a Masonic obelisk, in ‘respect’ of the ‘dying Maori race’ that he and his fellow Colonial Oligarchy undermined. Surveyor Bro. Charles Heaphy, who emigrated with the New Zealand Company’s Colonel Bro. William Wakefield on the Tory in 1839, was given the post of Commissioner of Native Reserves as a reward of political support to Sir Bro. Donald McLean. For his efforts, the former Chief Land Purchasing Commissioner, Bro. McLean – who had amassed an estate of 50,000 acres in the Hawke’s Bay and part-owned an 80,000 run next to Lake Wakatipu, conspired with Bro. Whitaker, Bro. Isaac Newton Watt and Christopher William Richmond over Waitara – became Minister of Colonial Defence and Native Minister in 1869 to end Te Kooti’s East Coast War. Bro. Frederick Whitaker became MP for Waikato in 1876, and subsequently the Attorney General twice more, and Premiere once again. When Bro. George Grey was stood down as Governor in November 1867, the Masonic Brotherhood of Wellington sent Grey a letter of gratitude for his services to the Colony. In addition to Bro. 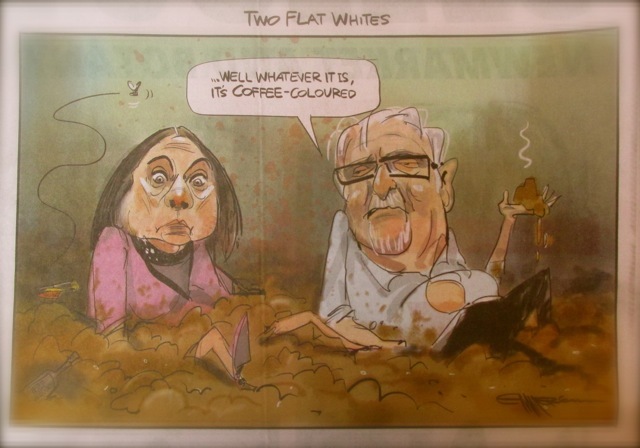 Grey falling out with General Cameron, who had belatedly criticized the wars as blatant land grabs, the Masonic-dominated Auckland Oligarchy scapegoated Bro. Grey over failing to put down the ‘Maori Rebellion’ quickly once the Waikato War commenced. Conspicuously, in The History of the Ara Lodges, the only mentions of Governor George Grey is in a toast list for a Masonic Banquet from 27th December 1862, and on the occasion sending a congratulatory letter in mid-1863 via the Governor to the Prince of Wales Bro. Albert Edward for his wedding, both mentions evidently a time when Auckland Freemasons were happy with Bro. Grey’s military preparations. Bro. George Grey, who came into the world prematurely when his pregnant mother overheard news that his father had died in battle serving under the Duke of Wellington against Napoleon I, was honoured with a state funeral and buried in a crypt in St Paul’s Cathedral in London on 26 September 1898, close to the tomb of the Duke of Wellington. In 1870, Colonial Treasurer, Sir Julius Vogel, who was reputed to be a Freemason, proposed a £20 million loan for public works, and sent two landed-gentry Freemasons, Bro. Isaac Featherston and former New Zealand Company agent Bro. Francis Dillon Bell, to London to raise the funds. Māori were expected to labour for the Public Works Department. As one Parliamentary Journal recorded in 1871, “The constant use of the pick and shovel will gradually wean [Māori] from their ancestral warlike tastes”. Construction on the railway line between Mercer and Te Awamutu was completed by the Armed Forces, while the southern section tot he King Country was carried out by Māori between 1881 and 1885. In April 1885, Premiere Bro. Robert Stout turned the first sod of soil in the ‘King Country’ section of the main trunk railway, where King Tawhiao and many of his principle supporters had retreated to for 20 years, behind the confiscation line that was protected by garrison towns. Freemason Captain Major Bro. Harry Atkinson became New Zealand Premiere three times and was appointed the District Grand Master of English Freemasonry for Wellington. Landlessness was considered an effective measure to force Māori to assimilate into Pakeha society, should they survive. And while some of those who speculated lost heavily or spearheaded philanthropic projects, some accounts have asserted such men were not motivated by egotistical greed, power, malice or loyalty to a cruel imperial logic. To sum up, this un-sanitized exposure is unique. 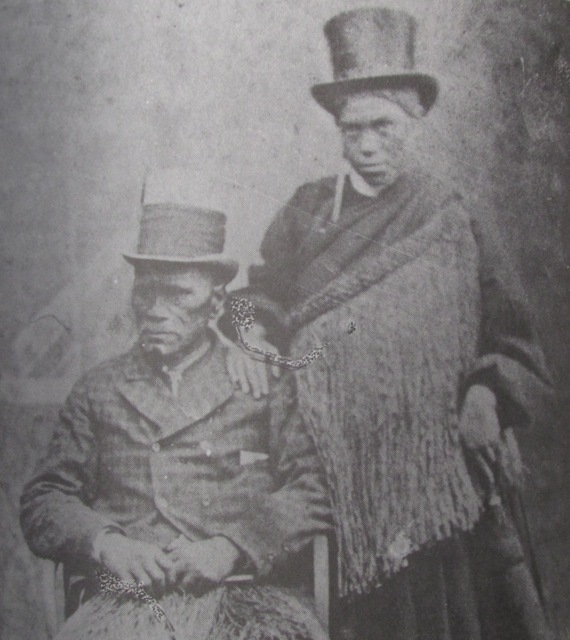 King Tawhiao and his wife, Poihire. Indeed, not even a handful of historians – among them Bro. William Pember Reeves – make mention of the Freemasonry connections underpinning the Colony’s formative history. Historian Bro. William Pember Reeves, claimed in his Ao Tea Roa: The Long White Cloud, that Governor George Grey had pursued peace in the eighteen months before he ordered the invasion of the Waikato in July 1863, a view that has been demolished since James Belich’s seminal work, The New Zealand Wars. Lost in suppression, are vital facts such as that in July 1863, when Freemason Governor Bro. George Grey declared a war of sovereignty against Waikato Māori, it was one of his rivalrous fraternal Freemason brothers, Frederick Whitaker, who reclaimed his former position as the Colonial Government’s attorney general soon after. Brazenly, Bro. Whitaker followed this move up to become the premier of New Zealand as well! Furthermore, during the 1863-64 peak period of the New Zealand Wars, Thomas Russell, became the country’s first Minister of Colonial Defence. The very same Methodist lay-preacher Thomas Russell who was one half of Whitaker & Russell – attorneys at-large – and the primary founder of the Bank of New Zealand, a spoiled bank that grew so fast it developed a case of terrible-twos by privately funding the Colonial Government to wage the Waikato Wars. Nor do the history books highlight any fraternal ties between other key Masonic plotters to structurally entrap Māori. The closest we get to learning the ‘who dunnit’ of Freemasonry in the great murder of the Māori communal economy is in consulting the likes of the Dictionary of New Zealand Biography from 1940, the Encyclopedia of New Zealand from 1895, or Dom Felice Vaggioli’s History of New Zealand and its Inhabitants, Volume II, which had been suppressed for over a century and was not published in English until 2000. Vaggioli, a Benedictine monk sent by the Vatican Empire to New Zealand, is scathing of Freemasonry’s grip over the Colony toward the end of his undervalued account of the Colonial period. But, his commentary on the Colonial Masonic Government – as he calls it near the end of Volume II – is general and the only individual he names as a Freemason is Premiere Julius Vogel. Historian Bro. William Pember Reeves claimed in his 1902 book Ao Tea Roa: The Long White Cloud, that the Colony was ruled by an oligarchy from 1853 to 1890, effectively after Bro. Grey’s first governorship ended, which he implied was despotic. Having been initiated into Freemasonry 1916, Bro. William Pember Reeves, failed to revise his history of New Zealand to include the central role of Freemasonry in forging the super-structure for the British Masonic Colony. Rank and file Freemasons contributed to building out the villages, towns and cities, at great cost of ‘blood and treasure’, as land-grabber Josiah Clifton Firth put it, without mentioning Freemasonry. For example, Bro. William Anderson who had arrived in the Colony at Onehunga the day the corvette H.M.S. Orpheus was shipwrecked on the Manukau Harbour bar and who served in the militia in 1863-64, joined the Engineer Volunteer Corps after the ‘Maori Wars’, became a major and was City Engineer for Auckland from 1869 to 1899. Key Freemasons implicated in the conspiracy of war at Taranaki and dispossess Māori of lands include: Chief Land Purchasing Commissioner Bro. 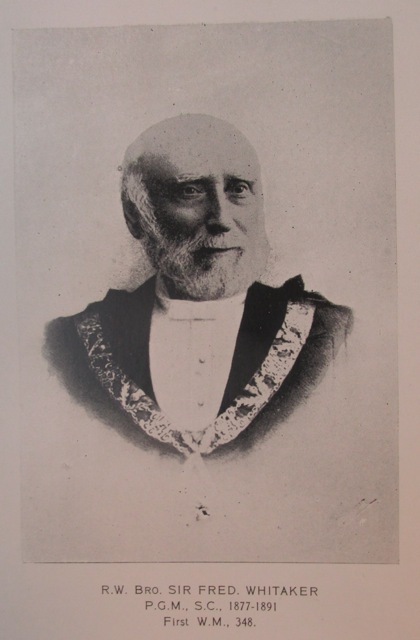 Donald McLean; founding member of the Ara Lodge, Attorney General Brother Frederick Whitaker; the New Plymouth Resident Magistrate, founding member of the New Plymouth Masonic settlers’ Mount Egmont Lodge, and future captain in the Taranaki Rifle Volunteers, Bro. Isaac Newton Watt; Captain Bro. Harry Atkinson, who lead the Second Company of the Taranaki Rifle Volunteers and the Forest Rangers; Captain Bro. Richard Brown of the Taranaki Volunteers; Bro. Lord Palmerston, British Prime Minister; and Governor Bro. 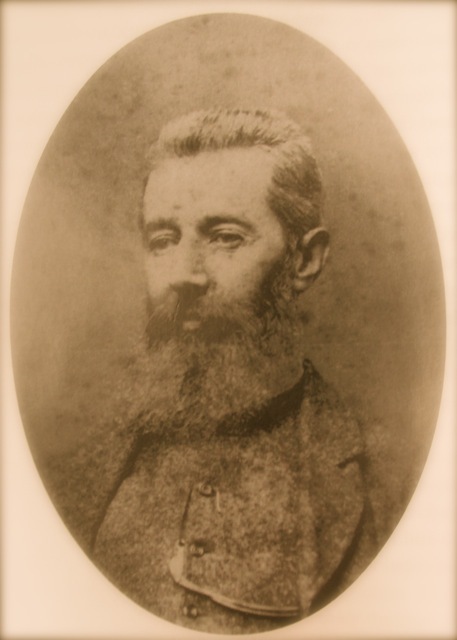 George Grey, who accidentally neglected investigating the Waitara purchase until the late stage of April 1863 – after he had spent nearly eighteen months planning the Waikato Wars! (In Parliament, Bro. Edward Stafford recounted the pertinent facts about Waitara known to Bro. Grey when he was Governor in 1949). Key Freemasons implicated in the conspiracy to wage the Waikato Wars and dispossess Māori of lands include: Bro. Governor George Grey; Attorney General and Premiere Brother Frederick Whitaker; Military Surveyor Bro. Major Charles Heaphy; Purveyor to the Armed Forces Bro. Major Henry De Burgh Adams; and Bro. Lord Palmerston, British Prime Minister. I have traced a conspiracy wherein prominent Freemasons played a key role to deprive not only the Māori people of their rights, needs and aspirations to live beyond Colonial Crony Capitalism and the rule of the British Empire. But, also, I have hinted that this possibility was denied to the New Zealand ‘realm’, in perpetuity. For at the core of the New Zealand Wars’ over-arching story is the establishment of a public debt-producing private banking monopoly in New Zealand that would hold the Colony to ransom, in the form of a debt enslavement system. This hidden system of public ‘borrowing’ from privately manufactured debt was run by the invisible hands of dynastic banking families of London’s Square Mile, foremost the Rothschild-controlled Bank of England, in private ownership from 1694 to 1946, at which time the national debt became British taxpayers’ burden. The Freemasons of the early lodges – the Pacific, Ara, Mount Egmont, Waitemata, Tongariro, Scinde, St. Andrews, Onehunga, United Service, Alpha-Waikato, Beta-Waikato, De Burgh Adams, St. John, South Kilwinning, Alexandra and Union Waterloo lodges – facilitated this takeover by providing stealthy transmission for imperial plotting. That plot involved the establishment of Masonic districts and provinces. Indeed, following the New Zealand Wars, Bro. Frederick Whitaker became the first Masonic Provincial Grand Master of the North Island of New Zealand, and was made was made a Knight Commander of the Most Distinguished Order of Saint Michael and Saint George in 1874. Bro. Donald McLean, was made a Knight Commander of the Most Distinguished Order of Saint Michael and Saint George in 1874, and was the First District Grand Master of Freemasons of England for the North Island of New Zealand from 1876 to 1877. He was accorded a full Masonic funeral and 900 Māori attended his tangi, despite his instrumental role in playing Māori again each other. Captain Major Bro. Harry Atkinson, was made a Knight Commander of the Most Distinguished Order of Saint Michael and Saint George in 1888, was appointed District Grand Master of English Freemasons for Wellington from 1888 to 1892. Occult Symbol of the Brotherhood: The Masonic obelisk in Cornwall Park rises above land swindler John Logan Campbell’s tomb and a bronze statue of a Maori chief. Racial ideas about European superiority that were transmitted to New Zealand persist today. This ‘European superiority complex’ is subtly maintained by New Zealand ‘s ruling class, with the intention that the white Pakeha majority will remain brainwashed about how dark New Zealand’s Colonial history really is. Masonic Humour: Scaffolding for John Logan Campbell’s obelisk under construction, with vanity tomb in foreground, photographed by ‘A. Brotherhood’, 6 September 1939. In Part III, “Why ‘Barely Any Acres Back’ Still Persists as State Policy” I explore not only why, but also how exactly the structural violence of institutional racism continues in the present. I show the connections between the maintenance of structural dispossession of Maori land through debt-based monetary compensations, and another hidden state policy – structural unemployment – work in tandem as state policy to maintain wealthy ruling class privilege over all New Zealanders. Together structural dispossession and structural unemployment rely upon systemic apathy, which is maintained by media missionary ignorati who keep the human zoo population oblivious about an engineered class war that utilizes economic warfare, identified as the ‘Shock Doctrine’. This class warfare, I will argue, is but Aotearoa’s theme park variant of a global economic war, designed to wreck chaos, while a Super-Government is constructed to enforce a World Dictatorship of the Neo-Colonial Super-Rich Oligarchy. Steve ‘Snoopman’ Edwards is Pakeha, a television editor, and a blogger. The discovery that his great grandfather and great uncle were Freemasons in Canterbury led to a 1000 mile long book-hunting mission. Manufacturing Consent: Noam Chomsky and the Mass Media. Harland-Jacobs, Jessica. (2007). Builders of Empire: Freemasons and British Imperialism, 1717-1927. The University of North Carolina Press. Gribbin (1909) The Ara Lodges, p. 229; Dictionary of NZ Biography 1940, Vol I p. 29, 525; Weston (1942). The Pacific Lodge, p. 41, 259. Ara Lodge, p. 218, 229. Gribbin (1909) The Ara Lodges, p. 229; Dictionary of NZ Biography 1940, Vol I p. 29, 525; Weston (1942) The Pacific Lodge, p. 41, 259; The Cyclopedia of New Zealand [Wellington Provincial District] Mr. Thomas Wilmor McKenzie. http://nzetc.victoria.ac.nz/tm/scholarly/tei-Cyc01Cycl-t1-body-d4-d13-d40.html; “The New Zealand Times”. 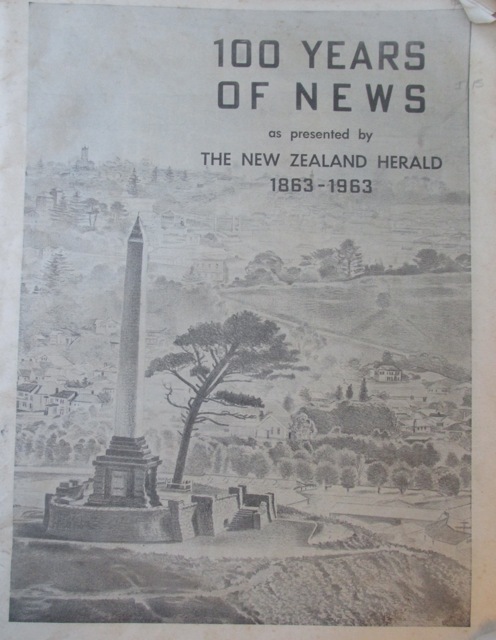 The Cyclopedia of New Zealand [Wellington Provincial District] Daily Papers. Victoria University of Wellington. http://nzetc.victoria.ac.nz/tm/scholarly/tei-Cyc01Cycl-t1-body-d4-d25-d2.html; The Making of Wellington, 1800-1914 edited by David Allan Hamer, p.189. Ian Pool and Tahu Kukutai (5 May 2011). ‘Taupori Māori – Māori population change – Decades of despair, 1840–1900’, Te Ara – the Encyclopedia of New Zealand, http://www.TeAra.govt.nz/en/taupori-maori-maori-population-change/page-2 (accessed 12 January 2017); Danny Keenan. (2009). Wars without End:The Land Wars in Nineteenth-century New Zealand, p. 67; Tony Simpson. (1979). Te Riri Pakeha, p. 99. Ivison, D., Patton, P. & Sanders, W. (2000). Political Theory and the Rights of Indigenous Peoples. David Ausubel (1960). The Fern and the Tiki: An American View of New Zealand National Character, Social Attitudes and Race Relations, p. 206. Ellington, NZ: Angus & Robertson. Quigley, Carroll (1961). The Evolution of Civilization – An Introduction to Historical Analysis. Liberty Fund Inc. (1979 Ed.) Indianapolis. Judith Bassett. (1975). Sir Harry Atkinson 1831-1892. Auckland University Press. Dom Felice Vaggioli. (2000 ). History of New Zealand and its Inhabitants, Vol. II, 162-163,166-168. Dunedin, NZ: University of Otago Press; Tony Simpson (1986). Te Riri Pakeha: The White Man’s Anger, p. 123,140. Auckland, NZ: Hodder and Stoughton. Simpson (1986). Te Riri Pakeha, p. 121; Canny Keenan. (2009). 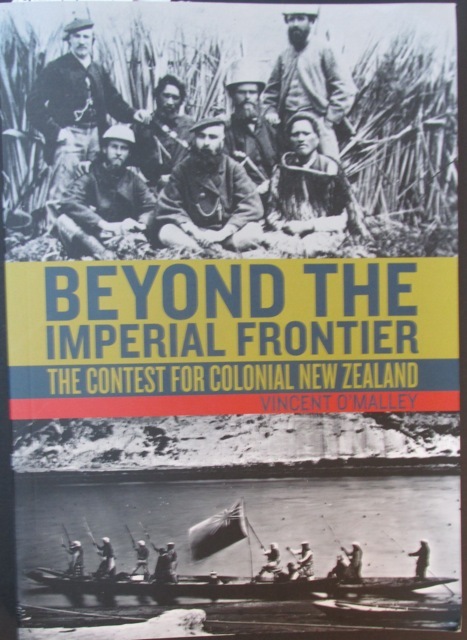 Wars without End: The Land Wars in Nineteen-century New Zealand, p. 129. Bro. White. (1929). Mount Egmont Lodge of Freemasons p. 20, 39,40; Murray Moorhead. (1999). 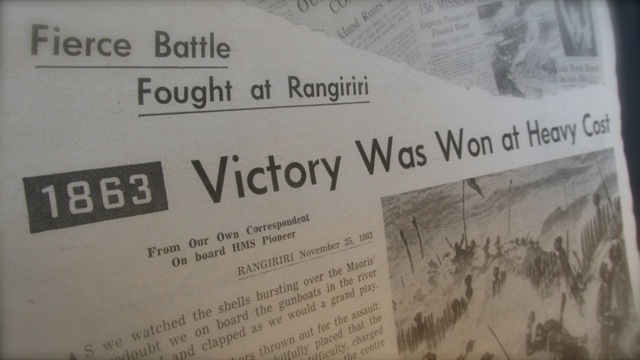 First and Strong: The Wellington West Coast and Taranaki Regimental Story, p.10. Simpson. (1979). Te Riri Pakeha p. 127-129; 180-182; Danny Keenan. (2009). Wars without End:The Land Wars in Nineteenth-century New Zealand, p. 67. Simpson. (1979). Te Riri Pakeha, p. 130. A.N. Field. (1939). The Truth About New Zealand, p. 8; Northern 1971: 5-6, 147). Graham 1983: 67; Hunt 2000: 72-73, 98; van Zoggel 2006: 49-51. Michael King (2008). Maori: A Photographic and Social History. p. 49). Vaggioli 1896. History of New Zealand and its Inhabitants, Vol. II, 170. Bro. White. (1929). Mount Egmont Lodge of Freemasons, p. 32, 101. Bro. White. (1929). Mount Egmont Lodge of Freemasons, p. 35. Bro. White. (1929). Mount Egmont Lodge of Freemasons, p. 40. McLean (2006). The Governors, p. 63-64. “The Secret Of Oz” – The Truth Behind The Modern Financial System, And The Money-Political Complex” at: http://www.zerohedge.com/article/secret-oz-truth-behind-modern-financial-system-and-money-political-complex; Brown, E. H. (2008). The Web of Debt: The Shocking Truth About Our Money System and How We Can Break Free (2nd ed.). Baton Rouge, LA: Third Millennium Press; Griffin, G. E. (2008). The Creature from Jekyll Island: A Second Look at the Federal Reserve (4th ed.). Westlake Village, CA: American Media. Graeme Hunt. (2000). The Rich List: Wealth and Enterprise 1820-2000, p. 84; Chappell, N. M. (1961). 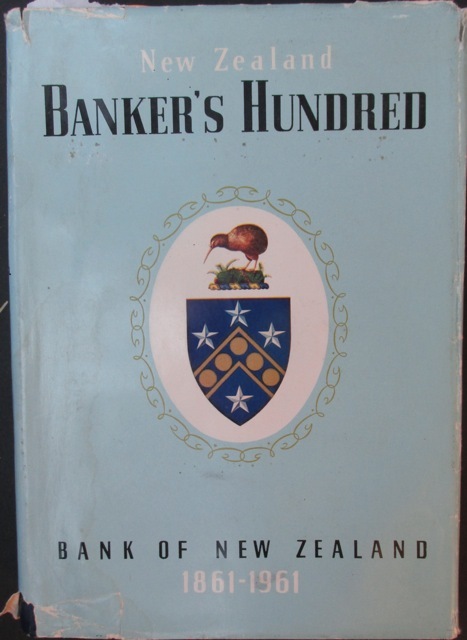 New Zealand Banker’s Hundred: A History of the Bank of New Zealand 1861-1961, p. 82-85. Hunt, Graeme. (2000). The Rich List: Wealth and Enterprise 1820-2000, p. 80-105. McLintock. (1966). An Encyclopedia of New Zealand, Vol. III, p. 652. Graeme Hunt. (2000). The Rich List: Wealth and Enterprise 1820-2000, p. 81-82; McLintock. (1966). An Encyclopedia of New Zealand, Vol. III, p. 652. McLintock. (1966). An Encyclopedia of New Zealand, Vol. III, p. 158-159; 651-653. 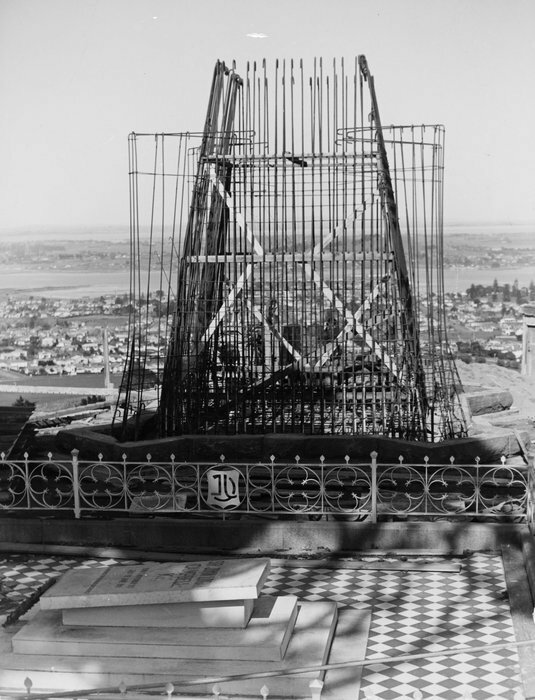 Sir John Logan Campbell bequeathed £5000 for a tomb to be built at the top of Maungakeikei in Cornwall Park, complete with a 100 foot-high obelisk and a bronze Māori warrior, as a memorial to the ‘dying’ native race (as many settlers believed this was the fate of the indigenous Māori people). Chappell, N. M. (1961). New Zealand Banker’s Hundred: A History of the Bank of New Zealand 1861-1961, 18-19, 31, 393-394, 397. Auckland, NZ: Bank of New Zealand. Hunt, Graeme (2000) The Rich List: Wealth and Enterprise 1820-2000, p. 84; Grant, David (1997): Bulls, Bears & Elephants: A History of the New Zealand, p. 381, Stock Exchange, p. 381; Bro. Frans van Zoggel (2006). Famous Sons of the Widow, p.69-71. Chappell, N. M. (1961). New Zealand Banker’s Hundred, p. 9-10. Harland-Jacobs. (2007). Builders of Empire, p. 254; Appendix: Royal Freemasons. In: Harland-Jacobs. (2007). Builders of Empire. Harland-Jacobs. (2007). Builders of Empire; Bro. Col. George Barclay. (1933). “The Soldier and Freemasonry”. p 71. Bro. G.A. Gribbin. (1909). A History of the Ara Lodges, p. 124; Tony Simpson (1979). 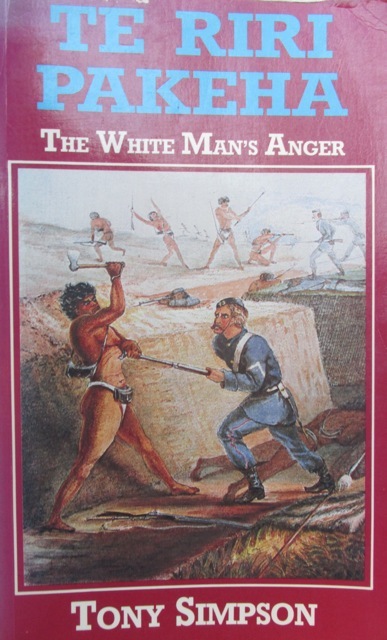 Te Riri Pakeha: The White Man’s Anger. p.148; Tom Gibson (1974). The Maori Wars, p. 96-97. Tony Simpson 1979 Te Riri Pakeha p.147, 153. Tony Simpson 1979 Te Riri Pakeha p.161-162. The Māori language version of the Treaty was re-written on the night of February 5 by the land-swindling protestant missionaries Reverends’ Henry and William Williams, to persuade the chiefs to sign. It was this version that was read out to Māori on February 6 at Waitangi. Māori had not ceded sovereignty to the British Crown. As Stevan Eldred-Grigg wrote in The Rich: A New Zealand History, “Henry Williams, a ‘well connected’ naval lieutenant appointed Anglican missionary to the Bay of Islands, [emigrated] with his Cambridge graduate brother William and worked busily in the 1820s savings souls and acquiring property in Northland”. p. 24-25. Tony Simpson 1979 Te Riri Pakeha p.163-164. Graham, Jeanine. (1983). Frederick Weld, p. 75-76. Auckland University Press. James Belich (1998). The New Zealand Wars, p. 132; (1988). The New Zealand Wars: And the Victorian View of Racial Conflict, p. 126; Chappell, N. M. (1961). New Zealand Banker’s Hundred: A History of the Bank of New Zealand 1861-1961, p. 83. Martin Short. (1989). Inside the Brotherhood: Further Secrets of Freemasons. London, UK: Grafton Books. p.136; Stephen Knight (1984).The Brotherhood: The Secret World of the Freemasons. UK: Granada Publishing; Harland-Jacobs, Jessica (2007). Builders of Empire: Freemasons and British Imperialism, 1717-1927. J.B. Condliffe. A Short History of New Zealand, p. 213. Tom Gibson (1974). The Maori Wars, p. 118,120. This well-used expression has its origins when Julius Caesar crossed the Rubicon River in 49 B.C. with his army; an act that broke the law and was a provocation for war with the leader of the Rome, Pompey. See: Burns, Edward McNall, Lerner, Robert E. & Meacham, Standish. (1980). Western Civilizations: Their History and Their Culture, p. 180. (Ninth Edition.) New York: W.W. Norton & Company. Belich. (1988). The New Zealand Wars: And the Victorian View of Racial Conflict, p. 133; Simpson. (1979). Te Riri Pakeha, p. 151; Tom Gibson (1974). The Maori Wars, p. 104-105. Belich. (1998). The New Zealand Wars, p. 142; Vaggaoli (2000). History of New Zealand and its Inhabitants, Vol. II, p.188. Bro. van Zoggel (2006). Sons of a Widow, p 39. Bro. Barclay (1936). 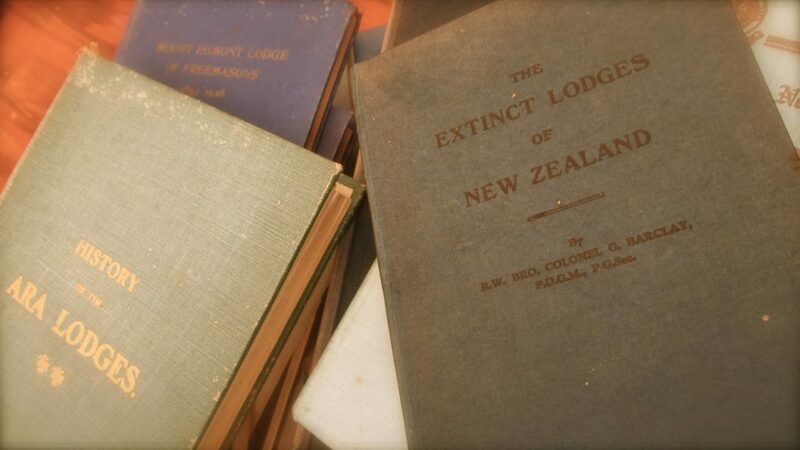 The Extinct Lodges of New Zealand, p. 50; Bro. Glenie (1960). Early Freemasonry in the Waikato. Michael King (2008). Maori: A Photographic and Social History. p. 50; Simpson 1986: Te Riri Pakeha, p.166; Vaggaoli (2000). A History of New Zealand and Its Inhabitants, p.187. Chappell, N. M. (1961). New Zealand Banker’s Hundred, p. 81. Tony Simpson 1979 Te Riri Pakeha p. 233. Rāwiri Taonui, (20 June 2012 ). ‘Te ture – Māori and legislation – The Native Land Court’, Te Ara – the Encyclopedia of New Zealand, http://www.TeAra.govt.nz/en/te-ture-maori-and-legislation/page-3 (accessed 12 January 2017). Tony Simpson 1979 Te Riri Pakeha p. 168-172; “The Still Permeating Influence of the Doctrine of Discovery in Aotearoa/New Zealand: 1970s-2000s – Foreshore and Seabed”, p. 219. In: Robert J. Miller, Jacinta Ruru, Larissa Behrendt and Tracey Lindberg. Discovering Indigenous Lands: The Doctrine of Discovery in the English Colonies, p. 6-8. Oxford, UK: Oxford University Press. Ara Lodges, 110,111; Bro. White (1929). Mount Egmont Lodge of Freemasons – 1853-1928, p. 57; Northern 1971: 148; Bro. A.J. Chapman (23 May 1940). “Freemasonry and the Fighting Services”. United Masters Lodge, No. 167. Tony Simpson 1979 Te Riri Pakeha p.184-186. Tony Simpson 1979 Te Riri Pakeha p.166. Tony Simpson. (1979). Te Riri Pakeha, p. 199-204. Tony Simpson. (1979). Te Riri Pakeha, p. 165, 168; M. P. K. Sorrenson. (1965). The Politics of Land. In: J. G. A Pocock. (ed.). The Maori and New Zealand Politics. Talks from a N.Z. B.C. series with additional essays, p. 28-34. Auckland, N.Z. : Blackwood & Janet Paul Ltd.
 Tony Simpson. (1979). Te Riri Pakeha, p. 147; Michael King. (2003). The Penguin Book of New Zealand History, p. 226. Tony Simpson. (1979). Te Riri Pakeha, p. 172; M. P. K. Sorrenson. (1965). The Politics of Land. In: J. G. A Pocock. (ed.). The Maori and New Zealand Politics. p. 40. Scrip Corner: Thames Stock Exchange. Thames Goldfield Information Series No. 2. Thames, NZ: Metallum Research Limited. Chappell, N. M. (1961). 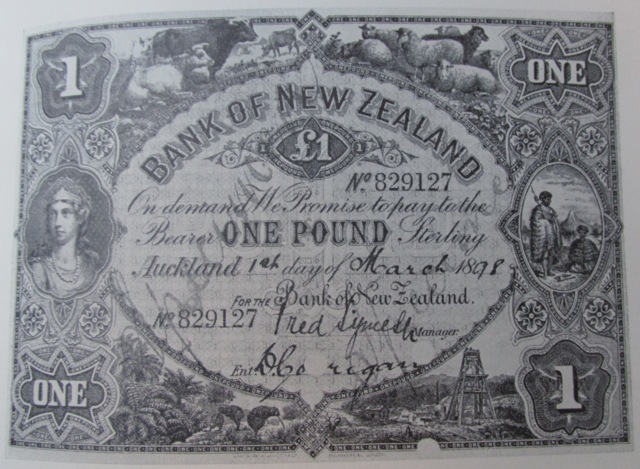 New Zealand Banker’s Hundred, p. 102; J.B. Condliffe (1927). A Short History of New Zealand, p. 116; Malcolm McKinnon. (2013). Treasury: A History of the New Zealand Treasury 1840-2000. Van Zoggel. (2006). Famous Sons of the Widow, p. 39, 50-51; Weston. (1942) 33, 136; Bevins, Alan B. (2001). 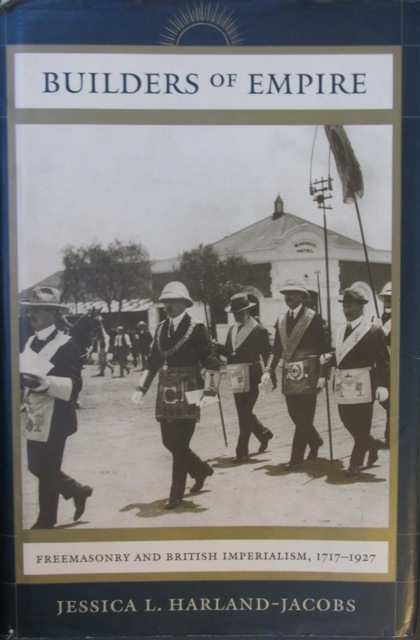 A History of Freemasonry in North Island New Zealand, p. 38-43. Bro. Bevans (2001). p. 48; Bro. G.A. Gribbon (1909) Ara Lodges, p. 10-11 ; Bro. Van Zoggel. (2006). Famous Sons of the Widow, p. 39. Bateman. (1989). The Illustrated Encyclopedia of New Zealand, p.1284. Auckland, NZ: Bateman; Weston. (1942). The Pacific Lodge. Appendices to the Journals of the House of Representatives. (1871). Vol. 1 D. 1, p. 19. No. 29. In: Rosslyn J. Noonan. (1970). By Design: A Brief History of the Public Works Department – Ministry of Works 1897-1970 . p. 30. Tony Simpson. (1979). Te Riri Pakeha, p. 165. Tony Simpson 1979 Te Riri Pakeha p. 147. Bro. G.A. Gribbin. (1909). Ara Lodges, 175.